In 1995 a small group of friends sat in The Farmers Arms pub and decided to form a club to raise funds for local charities and organisations. The club become known as The Penknife Club. In that first year the Penknife Club made donations of £397. 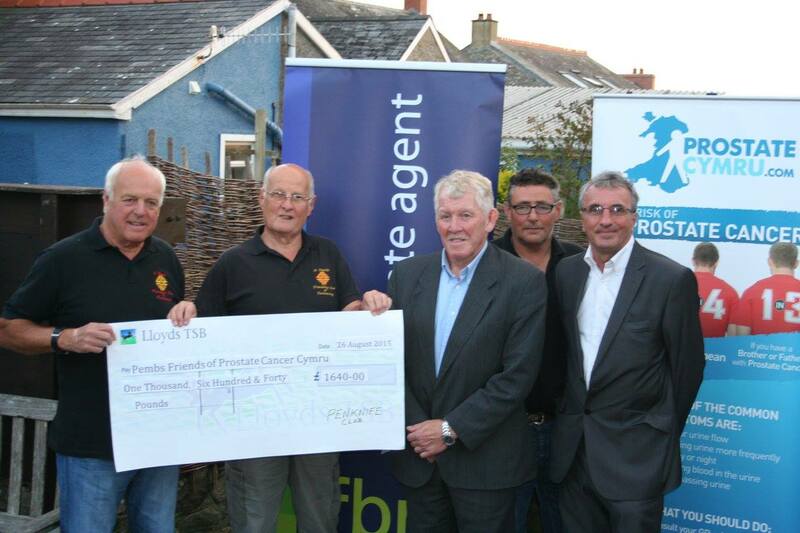 The St. Davids Penknife Club raises between £5K - £15k for charities and local voluntary groups through activities such as sponsored walks, sports matches and providing refreshments at local fetes. The St. Davids Penknife Club is a group of people dedicated to voluntary fund raising for local groups and charities in the St. Davids area. We always welcome new members so please send us an email or letter if you'd like to join us and help raise funds for good causes locally. Penknife Members come from St Davids, Solva and the surrounds. We meet every month to discuss our past events, future events and decide which organisations to donate funds to. All monies raised are donated to a charitable organisation. Members finance all of their own expenses.